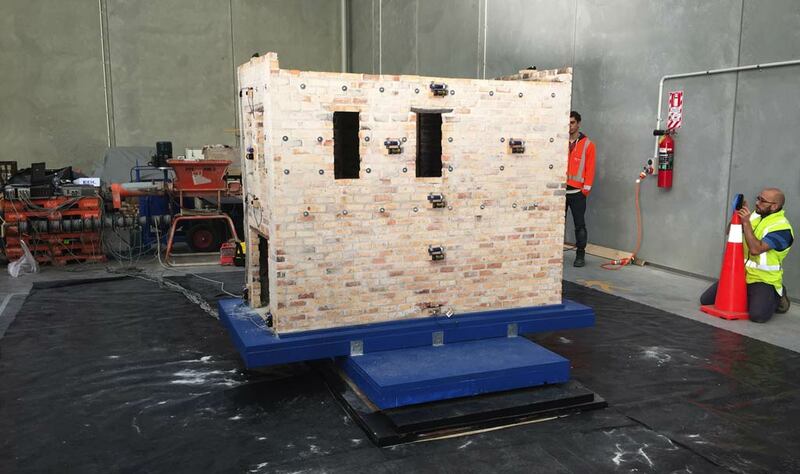 BBR Contech is pleased to be assisting a Year 4 student project for the University of Auckland which is analysing seismic retrofit of unreinforced masonry buildings using innovative techniques. The portable shake table was set up in our new Auckland warehouse and we have watched the project evolve over the past few months. It has been great to help out students Caitlin Cairncross and Michael Kennerley who have been supervised by Dr Dmytro Dizhur and Dr Marta Giaretton. We look forward to hearing about the analysis. View the test rig set-up in the link below.